In 1777, Lafayette, at the age of 19, secretly and against the wishes of the French government, sailed to America and volunteered to fight on the side of America in the Revolutionary War. Lafayette served with General Washington through the winter at Valley Forge and returned to France in 1778 to lobby for the American cause. The French King finally agreed to support the Americans with a military force. 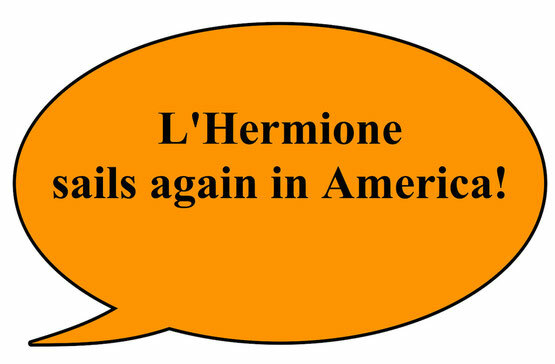 Frigate Hermione sailed Lafayette back to America in 1780. When French forces helped trap British General Cornwallis at Yorktown, the Hermione was part of the naval blockade, which led to the British surrender. 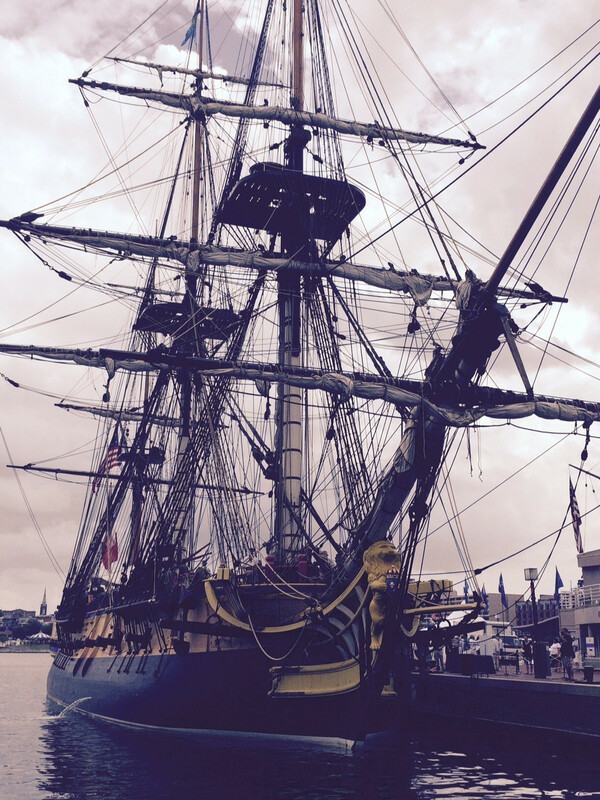 Craftsmen have built a beautiful, authentic replica using original drawings of the Hermione’s sister ship. The process, which took 17 years, used the same materials and techniques (oak timbers, linen sails) that were available in the 18th century. 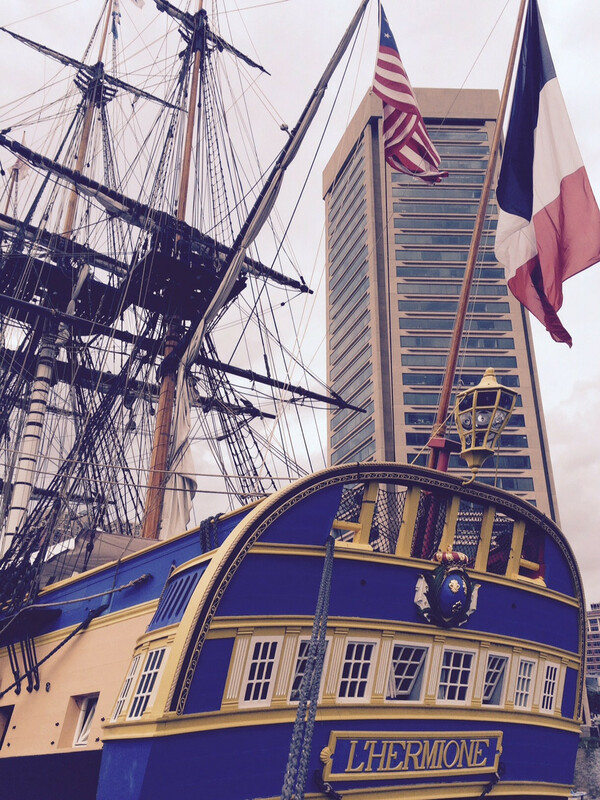 (I walked aboard to admire the magnificent craftsmanship during the ship’s stop in Baltimore.) 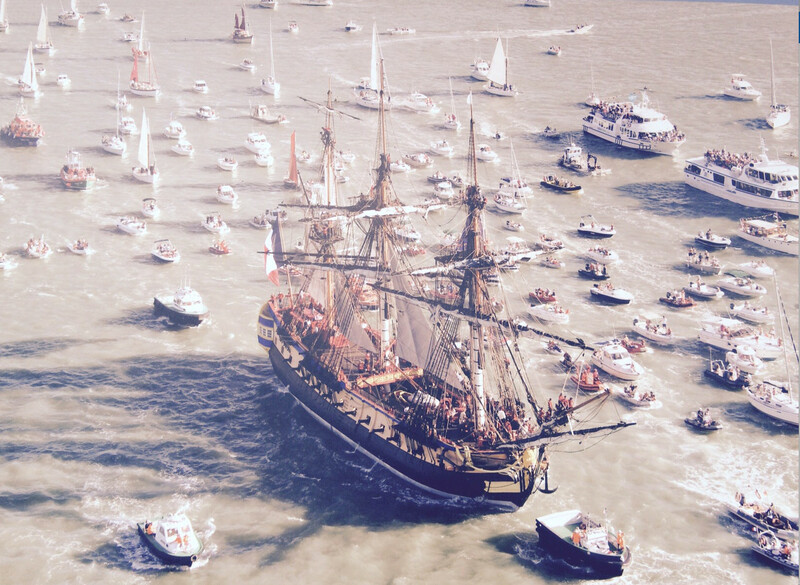 On July 4th, Lafayette’s flagship will pass in front of the Statue of Liberty! 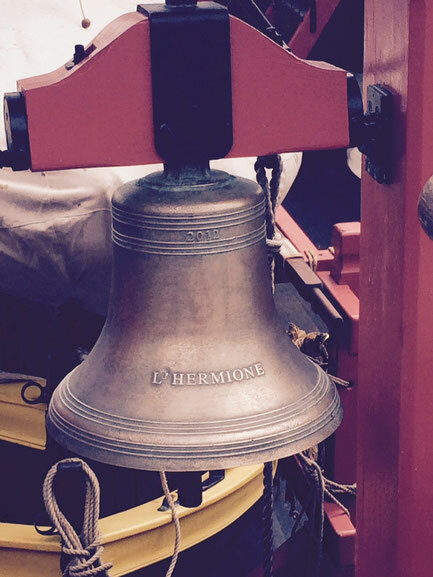 To learn more about the historic voyage, the ship, and the remaining itinerary, please visit the website: hermione2015.com.